I am a musician. I am very thankful for the opportunity to share my experiences and opinions in response to your request for comments with regard to the public study the Copyright Office is conducting on the DMCA safe harbor provisions contained in 17 U.S.C. 512. I am submitting these comments as an individual. The Study is timely because the scale of piracy and infringement through companies like YouTube and Google is exploding with such a logarithmic trajectory that the numbers are almost beyond comprehension. These issues are of paramount importance to the ability of musicians to earn a living and for the sustainability of the arts. In 2014, I was asked by NARAS to testify before Congress on these very issues, but since my testimony, things have only gotten progressively worse. Like many musicians, I am constantly fighting against infringement. But companies like YouTube and Google have abused the original concept of a “safe harbor” to generate ever-increasing billions in corporate revenue directly on the backs of musicians, and at the same time, musicians’ earnings from recorded music continue to shrink to unbelievable and almost comically low levels. It’s basically income redistribution. The simple fact is that with the advent of on-demand streaming music sites like YouTube, this “safe harbor” has become the equivalent to a government license to print money. Congress never intended for the concept of a “safe harbor” to undermine the very future of music. But that is what has happened. 4) companies who seek to profit from the protections of a “safe harbor” should be required to use and share with each other the best technologies available to prevent infringement, and should be required to annually certify what efforts they have made to do so. Congress has already required this of those ISPs that are universities (the HEOA Act), and given the rapid advance of technology and infringement, it should now be required of all ISPs, and most especially the ISPs like YouTube who operate as worldwide media publishing companies through on-demand streaming. 1. Are the section 512 safe harbors working as Congress intended? No. To the contrary, companies like YouTube have taken advantage of the provisions of section 512 to generate billions of dollars of revenue, directly on the backs of copyright owners. The legislators’ intent in setting up the safe harbor was to give “cover” to companies who were legitimately only providing the internet “pipes,” so to speak. But now, companies like YouTube have evolved to do much, much more than simply providing the “pipes.” YouTube is not an ISP as envisioned in 1998, it is a modern media publishing company driven by ad sales and the exploitation of “big data.” It has a direct financial benefit from its users who are infringers. It also actively controls what goes through the “pipes,” by offering ad revenue, by offering YouTube channels with preferences, and by offering services like TunesToTube, to turbocharge the upload of infringing music. YouTube (and similar companies that operate as on-demand music streaming sites), who knowingly allow millions of users to upload unauthorized music should not have any safe harbor protections.There is no way the lawmakers who drafted the DMCA would want this result. 2. Have courts properly construed the entities and activities covered by the section 512 safe harbors? No. The only courts to really dig into the specific issues impacting copyright owners appear to be the various decisions in the Viacom case, and the Vimeo case. The Vimeo case is largely irrelevant because for the most part Vimeo does, in fact, try to do the right thing by creators. But the Viacom case against YouTube is different. The evidence against YouTube was startling: YouTube employees had actual intent to infringe. But that case settled at the trial court level before any real clarification in the law could be made. The settlement ended the chance an appeals court could give any real guidance on key issues. And given the bad evidence YouTube faced about its behavior and the incriminating statements of its employees, I understand why YouTube settled. The lack of clarity from the courts is frustrating for individual musicians, who spend a good deal of their time trying to keep infringing material off of the internet. Doing so becomes harder and harder, as YouTube and Google become richer and richer, and gain more and more political power and influence. 3. How have section 512’s limitations on liability for online service providers impacted the growth and development of online services? These “limitation of liability” provisions have allowed for an unprecedented increase in infringement. It’s to the point where I bet even Google and YouTube are shocked by the volume of infringing activities. In passing section 512, our lawmakers intended to avoid unfairly choking the internet. Companies who simply provided the internet “pipes” in a neutral fashion, like AOL and Verizon, needed to be protected. But that original intent is far in the rearview mirror, and now datalords like Google and YouTube are using section 512 as a shield to hide behind as they explode in size, generate billions in revenue, and create a monopolistic database allowing them to control a massive amount of information. Google’s own reporting reveals the unconscionable level of flagged pirate links, now well over 500,000,000 per year. The real number of actual pirate links is much higher. This incomprehensible explosion of growth at Google gives any old mom-and-pop pirate site in a third world country access to the world’s most sophisticated and powerful marketing technology. That’s a horrific outcome for the individual copyright owner; it’s an outcome that was never contemplated by our lawmakers in 1998. 4. How have section 512’s limitations on liability for online service providers impacted the protection and value of copyrighted works, including licensing markets for such works? I guess I am too small, or don’t have a “substantial body of material” that is “frequently uploaded by the YouTube community.” (YouTube’s language) Basically, that means the little guy need not apply. That’s wrong. In fact, that seems monopolistic and anti-trust to me. YouTube shouldn’t be able to selectively offer its Content ID technology only where it makes economic sense for YouTube. That’s like a company under the ADA law being able to provide handicapped entrances and bathrooms only where it is convenient, or only where it makes economic sense. My constitutional copyright rights as an individual jazz musician are the same as Sony’s rights, and YouTube should be required to have that reflected in their policies, their behavior, and their business ethics. In addition, Google is constantly sending hundreds of millions, if not billions, of its users directly to pirate sites like LimeTorrent, and infringing sites throughout the world, where those companies do not comply with the DMCA, or where I as an individual musician have no real recourse. And even when Google is told that LimeTorrent is infringing my music, it will not stop shepherding its users to LimeTorrent for “free downloads” of my music recordings, and even free downloads of my scores and parts, representing decades of my hard work. Google pretends that it can’t technically stop queuing up those sites in a search field. But we all know Google could do that overnight if it wanted to (see #9 below). The very fact that Google reports that last year it received over a half a billion takedown requests for pirate sites from copyright owners is proof positive that Google is inducing infringement at an outrageous level. And imagine all of the rights owners that aren’t even bothering to try to ask Google to take down the links. The half a billion takedown requests Google gets annually, is just a small tip of a true iceberg. Again, it is an example of a company that is making billions in revenue from its dominant market position, and using that market power to knowingly trample the rights of musicians. In the case of Google, it’s not even what the courts call “willful ignorance.” In the case of Google steering users to LimeTorrent, it is both “willful arrogance” and an “accomplice in crime.” Google should be required to stop directing its users to known pirates. Otherwise, it does not belong in any safe harbor. 5. Do the section 512 safe harbors strike the correct balance between copyright owners and online service providers? Not even close. It couldn’t be more lopsided. Musicians like me who try to use section 512 to protect my rights, are left helpless, while companies like Google and YouTube generate billions in revenue based upon infringing content. Throughout this document, I make a number of suggestions about how this process could be more balanced. 6. How effective is section 512’s notice-and-takedown process for addressing online infringement? Extremely ineffective. YouTube refuses me, as an individual musician, the ability to benefit from its Content ID program (see #4 above). YouTube only makes that available to powerful companies. For me, YouTube (and a host of other sites that illegally host my music) offers nothing. So I find myself serving DMCA takedown notices again and again, with no ability to keep files down. And trying to get Google to remove links to pirate sites and torrent sites is absolutely overwhelming. Not only do they keep allowing links to appear, but Google even prioritizes them in search fields so they appear toward the top. Wow. That’s a low blow. Takedown should mean stay down, and once YouTube has been notified by me that I own all rights to a recording or composition, YouTube should not allow anyone to post that file, without my authorization. And once Google has been notified that LimeTorrent is pirating my music, it should allow no further links to that site regarding my content. Here is one thing that would make the DMCA more fair: if a pirate site does not have a legitimate DMCA program, then Google should not link to it. Period. Otherwise, Google is directing the entire world to that site, that does not respect US laws, and for which I have zero remedies. And here’s another idea: if I serve YouTube with a takedown of my music where the user has been receiving ad revenue, I would think that YouTube would pay me the amount of the ad revenue its user received, as well as the amount YouTube gained in selling the ads. At a minimum that amount should come to me. That “fair is fair” policy would really cut down on piracy. 7. How efficient or burdensome is section 512’s notice-and-takedown process for addressing online infringement? Is it a workable solution over the long run? Extremely inefficient and burdensome. The current takedown scheme is a constant whack-a-mole game – a game that YouTube wins every time. Shortly after YouTube’s affiliated entity TunesToTube advertised the ability for users to upload in less than 20 seconds, I saw a rash of uploads of tracks from my newest CD, accompanied by my cover art. The staggering growth of uploads for businesses like YouTube has rendered section 512 completely impotent. YouTube’s aggressive actions to induce infringement are making the DMCA less and less effective every year. In these comments, I suggest a number of ways companies like Google and YouTube could improve the process to be more efficient, more balanced, and more supportive of independent musicians. 8. In what ways does the process work differently for individuals, small-scale entities, and/or large-scale entities that are sending and/or receiving takedown notices? For an individual musician such as myself, YouTube and other similar companies create a nightmare where I know every day infringing music is being published, and I have no real effective means of stopping it. In fact, as stated above, YouTube has recently created technology that has only made it worse in at least two respects: a) YouTube has gone out of its way to make it super-easy for its users to upload infringing material; and b) YouTube has denied me access to its Content ID technology. The net result is that YouTube discriminates against individual musicians like me, and induces its massive user community to infringe (see # 15 below), in order to make its billions of dollars. Those are the harsh facts about the impact of this antiquated “safe harbor” on individual musicians. 9. Please address the role of both ‘‘human’’ and automated notice-and takedown processes under section 512, including their respective feasibility, benefits, and limitations. For me as an individual musician, I only have available to me the non-automated “human” processes. These processes are woefully inadequate and are essentially a joke. As noted in the Copyright Office Supplementary Information, it is indeed like emptying the ocean with a teaspoon. One HUGE help to me as an individual musician and copyright owner would be for the Study to make a finding that Google has an obligation to stop directing its users to an infringing site like LimeTorrent, or to any other similar site, especially international sites, who do not respond to DMCA processes. Congresswoman Chu demonstrated the outrage about this when she “googled” “Twelve Years’ a Slave” right from her chair in Congress, only to show that Google steered her right smack to a bunch of pirate sites, which even received top priority in the search request. Later that morning, the media noted that Google had already taken down the links, which proves that it has the ability to do so swiftly if it is motivated. Unfortunately, Google has not to date been motivated to do what is right in this regard. If I state under penalty of perjury that I am the owner of a copyrighted work, and I have a strong track record with takedowns (see #12 below), Google should be willing to accept that, and refrain in the future from steering its users to that site for any of my copyrighted works. That alone would be a huge help to me. And I can state with confidence that doing so would not prejudice anyone. 10. Does the notice-and-takedown process sufficiently address the reappearance of infringing material previously removed by a service provider in response to a notice? If not, what should be done to address this concern? No. Notice and Takedown should mean Stay Down, as I testified in 2014. The endless whack-a-mole game must stop. YouTube loves to brag about how the number of takedowns had gotten exponentially higher, almost to the point of being absurd. And these all require employees and resources, to the point of costing YouTube a ton of money. But of course, YouTube knows that it is worth every penny if it is still allowed to financially benefit from all of the infringing materials (which it clearly does). YouTube and Google know that most independent musicians do not have the time or inclination to undertake the daunting DMCA process. And many musicians refrain from taking music down, for fear of being demonized by these companies and their users, with YouTube as the ringleader. These companies also know that even though they have received billions of takedown requests, it is only the tip of the iceberg. “Take down means stay down” would mean individual musicians like me would sleep better at night, but it would also mean YouTube would make a lot less revenue. And that’s exactly why they won’t do it, unless someone forces them. 11. Are there technologies or processes that would improve the efficiency and/or effectiveness of the notice-and-takedown process? Yes. First, I should be able to provide a digital copy of my music to YouTube (or any similar on-demand streaming company that is exploiting the “safe harbor”), and YouTube should be willing to commit that it will not allow any third party to post verbatim copies of that music without my permission. Second, I should be able to notify Google (or similar search companies) that certain companies are pirating my verbatim copyrighted works. After Google receives such a notice from me, under penalty of perjury, it should immediately stop directing its users to those sites for any of my music, and/or any searches linking to that music. For Google to somehow assert it would be prejudiced (or its users would be prejudiced) by doing so is totally absurd. Also, Google and YouTube have billions in revenue and as a result, they have developed technologies that could be helpful to other similar on-demand streaming companies to combat illegal uploads. Google and YouTube, as the dominant market players, should be sharing those technologies with other companies. Of course, Google and YouTube would say “well, we paid for these developments, we can’t just give them away for free.” Do you see the irony in that? Google and YouTube are all for free music, free content -- but when it comes to their own work product, they guard it like Fort Knox and don’t volunteer to share it with anyone as open source. The DMCA should make it clear that companies that benefit from the lucrative “safe harbor” should be obligated to enrich the community of other companies in the “safe harbor” with the best technological developments to stop piracy. 12. Does the notice-and-takedown process sufficiently protect against fraudulent, abusive or unfounded notices? If not, what should be done to address this concern? In fact, I have filed countless takedown notices. Each of them has been correct and appropriate. That should be worth something to YouTube and Google. Here’s one idea I have about how to accomplish that; it’s an idea that could make the whole process more efficient and more balanced: YouTube and Google should, through technology means, recognize and “rate” me as a musician/copyright owner, where my rating would reflect that I am a reliable and high-integrity musician and “content owner.” After I’ve completed hundreds of pristine “takedowns,” YouTube should not treat me like a stranger. YouTube already rates its users on their behavior. It is only common sense that it would also rate the copyright owners, without whom YouTube would have no business. After all, much of our digital economy is now based upon all kinds of user “ratings.” The DMCA should require that if a company wants the protections of the “safe harbor,” it should rate musicians (and other copyright owners), and for musicians who have consistently played strictly by the rules, and have a good track record, those musicians should get the benefit of the doubt: a) they should get some sort of “FastPass” to the takedown process; and b) the burden on a counter-notice should be much higher, and the musician should still have the right to contest something being uploaded, without me having to hire lawyers. My good reputation should be worth something to these big datalord companies. The value of rating musicians and “content owners” has other benefits as well: if a bunch of musicians with great ratings are all saying a site like LimeTorrent is pirating, that community feedback should show up on some sort of Google “heat map,” and Google should then disable further traffic (Google calls that “de-listing”) to the site based on that community feedback. Hey, Google is the King of Data. Doing that with their “data analytics” would be a complete breeze, and would save musicians a ton of time and money. You can bet these companies would do it if it was in their financial interest to do so (see #13 below). I urge the Copyright Office to issue findings that much more balance is needed in the way companies treat users and how they treat musicians and copyright owners. There is complete imbalance with not only the takedown process, but also with the counter-notice process. 13. Has section 512(d), which addresses ‘‘information location tools,’’ been a useful mechanism to address infringement that occurs as a result of a service provider’s referring or linking to infringing content? If not, what should be done to address this concern? No. As stated above, Google is constantly helping its users find pirate sites that allow free downloads of my recorded music and my sheet music. Google steers users to nefarious companies, many in foreign jurisdictions, who ignore the DMCA, and who essentially operate beyond the reach of the law. Google knows this, and knows the impact on independent musicians. But Google has a huge and direct financial benefit from all of this traffic, even though it has the absolute right and ability to control the traffic. It seems to me that Google has broken our trust in abusing these “safe harbor” provisions in order to make its billions, and that sort of usurious behavior needs to be stopped. As it is, Google is just a huge marketing agent for the pirates, and a well-paid agent. That’s the sad truth musicians currently endure. From my vantage point, Google violates every aspect of section 512(d), and should not be protected from liability when it acts as an accomplice to the pirate sites. Here are the simple facts: a) Google has actual knowledge that sites like LimeTorrent are overwhelmingly operated as pirate sites (any redeeming value of those sites is infinitesimally small); b) it knows from facts and circumstances that a site like LimeTorrent is pirating copyrighted works; c) Google has not acted “expeditiously” to “de-list” (Google’s term) access to those sites; d) Google has a direct financial benefit in allowing access to those sites. I just want Google to agree to stop shepherding its users to sites like LimeTorrent, and even putting those sites toward the very top of the search results. But Google loves to say that to “de-list” (not my term) such sites could amount to censorship. They throw up the nebulous fog screen of “fair use.” (see #15 below) That’s just baloney. With regard to my music, printed scores and parts, LimeTorrent has absolutely no plausible grounds to make my life’s work, literally, available free of charge. Google should immediately work its “de-listing” magic on that site. To do otherwise is like Google letting a platoon of marauding pirates in the front door because theoretically there might be a priest or nun among them. Our legislators never intended for the DMCA to be exploited in such a farcical and criminal way. 14. Have courts properly interpreted the meaning of ‘‘representative list’’ under section 512(c)(3)(A)(ii)? If not, what should be done to address this concern? We don’t know what Congress meant by that phrase, especially in 1998, before online streaming even existed. All I know is that no company provides me as an individual musician with a process that offers the takedown of more than a single file. And if I don’t follow their rules to a “t,” the illegal file will remain up. So I personally would love to be able to submit a list to YouTube or Google of all of my music, and call it a day. I could write more music and teach more students. But I don’t believe YouTube or Google will allow me to do that. Whatever the courts may say, I can tell you in real life, none of these companies would dare to offer a musician the luxury of submitting a “representative list,” whatever that is. We as musicians are required to whack one mole, and only one mole, at a time. The DMCA should require that in order to benefit from the lucrative “safe harbor,” a company needs to agree to be proactive in stopping analogous illegal uploads. For instance, if I give Google three illegal links from Google to LimeTorrent, and I have a good “rating” (see #12 above), Google ought to be willing to stop any further links to LimeTorrent for my music, any of my music. That would directly solve the question about “representative list.” But Google has not offered to do so, because it knows it would cut into its revenue and the value of its database. 15. Please describe, and assess the effectiveness or ineffectiveness of, voluntary measures and best practices— including financial measures, content ‘‘filtering’’ and takedown procedures— that have been undertaken by interested parties to supplement or improve the efficacy of section 512’s notice-and takedown process. The elephant in the room is what companies like Google and YouTube are NOT doing. Despite the fact that Google and YouTube are completely inundated with takedowns for infringing works, they do NOTHING to truly educate their valued users (who are making them billions of dollars) about copyright rights. YouTube does not ask its users one question about copyright rights before a user can upload. There is a good reason they don’t voluntarily “educate” their users. They know that if they do, they will lose a significant portion of their revenue, as many people really do wish to do the right thing, if they are properly informed. What other possible reason would Google have for its utter failure to educate and inform its users? We know education works, since Congress has already put a burden on some ISPs (universities) to affirmatively educate its students on an annual basis (along with other anti-infringement measures). That law Congress passed (HEOA) has worked well, and has not in any way hurt those ISPs. One would think that companies like YouTube would heed the clear advice of Congress and put in place similar measures to educate its own users, many of whom are international, and not as aware of US copyright. It’s common sense and ethical business practice. Gee, thanks, Fred for inducing this blatant infringement by an individual YouTube user. And what is especially preposterous about this “fair use” Springsteen CD upload is that I got served ads and commercials by YouTube when I tried to “view” (listen) to the CD. So not only is the upload devoid of any educational or social commentary uses, but it is a very commercial use, and as Fred knows well, commercial use is rarely fair use. No company that influences its users like this deserves a “safe harbor.” That’s pirate activity, and pirates don’t belong in a safe harbor. And as icing on the cake, YouTube dissuades users from even trying to learn more about the subject. The cute little furry muppet with whom you are supposed to develop an affinity (as opposed to the violent gorilla musician) gives commentary on these legal points. Right after “Fred” shows people where to learn more about copyright, the cute furry muppet says in a disgusted tone (3:40): “This is boring.” And Fred actually agrees, saying “I know,” with a smug smile. Another example of corporate influence on user behavior. YouTube has done everything it can to dissuade its users from taking musicians’ rights seriously. 5. Finally, at the height of irony and hypocrisy, Fred (the YouTube legal eagle) chastises musicians and copyright owners that “you can’t censor people from commenting on or criticizing your video.” (4:30) – more half-baked legal advice on “fair use” from Fred. But notice that on this very YouTube video, which has been widely viewed by about a million people, YouTube itself has indeed censored comments and criticism by “disabling comments.” Wow. I can only imagine some of the comments people would like to “share” about this misleading and damaging video. Being the canary feathers peeking out of YouTube’s mouth, the video reveals its true corporate motives. YouTube could not possibly do more to influence the behavior of its users toward infringement, and to mislead people. And YouTube can’t claim, “oops, this was a video made by some low-level employees.” The “Fred” character in the video is actually Fred Von Lohmann, YouTube’s top legal eagle. The cavalier attitude in the video, and in Fred’s demeanor throughout the video, is straight from the top of the YouTube big brass. All of this shows us how deep in the weeds YouTube and Google have buried the interests of musicians. The DMCA should make clear that if a company like YouTube wants the massive financial benefit of this “safe harbor” it should be required to implement a prominent set of common-sense “checkpoints” for its users AT THE TIME OF UPLOAD, and an education program that users need to take annually, on copyright issues. If it’s OK with the Department of Education (see HEOA discussion in #24 below), it should be OK with Google and YouTube. YouTube should be required to explain to its users that if they don’t own the rights to a CD, in most cases they shouldn’t upload it. But the exact opposite is happening. YouTube’s misleading propaganda about musicians’ copyright rights has created a virtual nightmare for musicians, and has created an obscene free-for-all (no pun intended) of illegal uploads. Again, these are not isolated examples. There are truly countless examples of admitted blatant infringement right from the words of the user’s own mouth, no less. YouTube should be telling its users that if the rationale for uploading an entire CD or song is because they are trying to promote the musician, they don’t have the right to do that without permission. Fred should tell his users that an upload like that is not protected by “fair use.” That sort of “promotion” can seriously damage many musicians, and YouTube knows it. YouTube urgently needs to create some common-sense checkpoints to educate and warn its users that such uploads could be damaging to musicians, and could subject the user to legal claims for infringement. In fact, YouTube should even tell users that such infringement could be considered willful, in which case they could even be liable for attorney’s fees. Hey, YouTube repeatedly threatens ME, an individual musician, that I might be liable for attorney’s fees. Why in the world is it OK for ME as the copyright owner to get such a corporate warning from big bad YouTube (including a finger-pointing from Fred), but when it comes to their users, YouTube only gives them a virtually hidden link to a misleading muppets movie that treats the whole issue of my constitutional copyright rights like it is a joke. 16. How effective is the counter-notification process for addressing false and mistaken assertions of infringement? Much more effective than the initial takedown process. In the countless DMCA takedown notifications I have been forced to serve on a myriad of companies, I have never once received a “counter-notification.” That’s because the overwhelming majority of takedowns are necessary and involve removal of unlawful or pirated uploads. YouTube should provide statistics on what percentage of its takedowns ever receive counter-notices. I am sure it is a very, very small percentage, well less than a tenth of 1%. Thus, all of the fuss over counter-notifications is ridiculous, when the real problem is the onslaught of infringing uploads, and the endless whack-a-mole game. Of importance, YouTube treats me like a second-class citizen in such situations. To have my music taken down, I need to sign under penalty of perjury, and YouTube then provides my personal email address to the person who uploaded my file, and places my own name in the public record, right next to its sophomoric “frowny face” (Google’s name for it) as a means of humiliation and demonization. How is it a bad thing that I stopped theft on its corporate platform? And I am not even allowed to know who the infringer is, but he is given my contact information. That is ridiculous and unbalanced. The DMCA does not require that, and it is just another example of how companies like YouTube have distorted the original meaning of the DMCA and its “safe harbor” to generate billions in revenue on the backs of musicians and other creators. YouTube should be ashamed for treating me that way and for encouraging and inducing such an uneven playing field. And now, to add insult to injury, YouTube recently announced a program where it would actually pay for the legal fees, up to $1 million, to protect its users who have received DMCA takedown notices they disagree with. I find that intimidating. And I bet a lot of users find it reassuring. It’s a prime example of YouTube influencing the whole community toward infringement. Even as a limited program (and mostly a PR stunt), it still shows YouTube’s bias and vested interest against musicians and “content creators.” As a musician, YouTube treats me like chopped liver, but it serves filet mignon to its community of “users,” even when a good percentage of those users are engaged in direct infringement. 19. Assess courts’ interpretations of the ‘‘actual’’ and ‘‘red flag’’ knowledge standards under the section 512 safe harbors, including the role of ‘‘willful blindness’’ and section 512(m)(1) (limiting the duty of a service provider to monitor for infringing activity) in such analyses. How are judicial interpretations impacting the effectiveness of section 512? First, YouTube saddled up with its new affiliate, TunesToTube, which makes a further mockery of musicians’ copyright rights by making it possible for a user to upload an exact MP3 file, along with the CD cover art, in less than 20 seconds without a single question or warning. YouTube knows well this new technology and “platform” will increase the amount of infringement. It’s like giving sharp knives to a bunch of pirates and justifying it to the public that “hey, these make very nice letter openers.” With actual knowledge and intent of how this technology is really being used, YouTube is thumbing its nose at musicians, and is willing to step right on our necks so that it can continue to make its billions in revenues. This inducement to allow lightning quick uploads is not “safe harbor” behavior. It is the behavior of a company looking for ways to increase its revenue, at the expense of musicians. Second, YouTube posted a horrific “education” video purporting to educate its users on copyright (see #15 above for a link). But it is in actuality a cartoonish nightmare that demonizes the musician as an aggressive, large gorilla that actually physically assaults the user who uploads copyrighted material. This disgraceful video should be denounced by the corporate executives at YouTube, and preserved as evidence of how YouTube aggressively influences its users toward infringement, and influences musicians and content creators to not enforce their copyright rights. This is not “safe harbor” behavior. It is the out-of-control behavior of a company with way too much power and control. Third, since Viacom, YouTube has implemented and publicized a program where it abandons any final vestige of neutrality, and offers to pay the legal fees for its users who receive certain takedown notices. YouTube has decided to put both feet on the scales, and obliterate the original sense of balance that was contemplated by the lawmakers who put the DMCA together almost 2 decades ago. This is not “safe harbor” behavior, but is the behavior of a company who is hell-bent on influencing its users’ activities in the direction of infringement. The problem with the few real decisions on this point (Viacom and Vimeo, basically), is that both of those judges used language that allow companies like YouTube to have their cake and eat it too. These decisions create the great irony that a company that has tools necessary to cut back on infringement does not have to use them. With the language from these trial court decisions, and with the language of 512(m)(1), companies like YouTube can essentially stick their heads in the sand, allow clear infringement to run rampant, earn billions from it, and not lose their “safe harbor” status. Given YouTube’s recent and rapid evolution as a monstrous, world-wide on-demand streaming site for all music, where it makes billions of dollars from illegally uploaded music and other content, in my opinion YouTube is no longer an ISP under the eyes of the law. Its business is not “providing internet service” (what an ISP used to be). It is now the world’s biggest ad-driven, on-demand streaming media publishing company, where YouTube itself has admitted that a good percentage of the content it publishes is unauthorized and infringing. It should no longer benefit from the protections of section 512. But given its powerful lobby, and influence on our governmental systems, its ISP status is unlikely to be taken away by Congress. (f) withholding technologies from copyright owners that would immediately reduce piracy. All of this amounts to YouTube’s “substantial influence” (again, the standard the courts have set) over its users’ behavior. Who would dispute that YouTube is directly influencing its users to infringe in order to grow YouTube’s revenue and market share. These actions of YouTube since Viacom clearly disqualify YouTube from protection under the 512 “safe harbor.” The problem is that no one, certainly no individual musician like me, has a piggy bank big enough to take on the Google/YouTube/Alphabet empire. If billionaire Sumner Redstone and his Viacom company can’t do it, how could a musician like me ever have a chance? Getting justice from the abuse of this “safe harbor” is out of my reach, and apparently out of the reach of just about everyone. Thus, it is essential that the reality of YouTube’s “substantial influence” be recognized in the Copyright Office Study. That’s why I’ve included so much detail about the actual facts and behavior here; it’s in front of our noses, if we can pause long enough to actually take note of how “influence” is being wielded. Courts, legislators and other public bodies would be well served to have some government-sanctioned “finding” to this effect. 20. Assess courts’ interpretations of the ‘‘financial benefit’’ and ‘‘right and ability to control’’ standards under the section 512 safe harbors. How are judicial interpretations impacting the effectiveness of section 512? The only court to directly assess this in any detail, the Viacom decision, ended up being settled on “undisclosed terms,” and since then, YouTube’s behavior has only gotten worse (see #19 above). There is no question that YouTube has a massive and direct financial benefit from encouraging its community to upload unauthorized videos and music. And since the Viacom decision, YouTube has even become more brazen. Not only has YouTube baited its users with the TunesToTube platform that allows lightning fast uploads of unauthorized music, but it now has produced a video to comment on the DMCA takedown process that makes a complete mockery of musicians’ copyright rights (see #15 above for a link), and has engaged in a campaign to actually pay some of its users’ attorney’s fees, up to a million dollars, who received takedown notices, like the schoolyard bully looking to intimidate musicians from daring to file a takedown, and looking to further induce “users” to upload content. I can only hope that if these courts had been provided evidence of YouTube’s recent behavior, the courts would have found that there was a “financial benefit” and “substantial influence” sufficient to take away 512 “safe harbor” protections. The “safe harbor” concept was intended for companies that remain neutral, and only provide the “pipes” for Internet traffic. It was never intended to protect multi-billion dollar, on-demand streaming media publishing companies (like YouTube). It was never intended to apply to companies that rely in substantial part on infringing activity, and are actively involved in inducing those infringers by: a) paying infringers for infringing music that is played billions of times; b) inducing infringing behavior by publicly promising a legal defense for some alleged infringing users; c) intentionally misleading users on copyright rights in ways to achieve more revenue. In addition, it was never intended to apply to companies like Google, who shepherd their massive worldwide user communities through billions of Google pirate links. Companies like this should lose “safe harbor” protection. How is that “business model” different from drug traffickers or pimps? People go to jail for that sort of behavior. But with a cushy, lucrative “safe harbor” in which to conduct their illegal trafficking, the DMCA essentially gives companies like Google a get-out-of-jail-free card. All of this discussion regarding “repeat infringers” would be moot if musicians were given two things: a) the right to have a music file “stay down” once it has notified a company like YouTube that a music file is protected; and b) access to technology like Content ID, even if they are a small musician (see #4 above). But until such a legal provision in place, the Copyright Office should urge ISPs to be much less lenient with users who have a history of uploading infringing content. These sorts of common sense implementations of the law should not require further laws and regulations and study. We all know that the companies only allow such leniency because it makes the companies a ton of money, directly on the backs of musicians. 24. Does section 512(i) concerning service providers’ accommodation of ‘‘standard technical measures’’ (including the definition of such measures set forth in section 512(i)(2)) encourage or discourage the use of technologies to address online infringement? The industry has already looked at these issues with regard to universities and illegal file sharing of videos. The video and television industry lobbied Congress really hard for changes to put special obligations on universities to protect against copyright infringement, since it was hypothesized that university students were engaged in a lot of that activity. 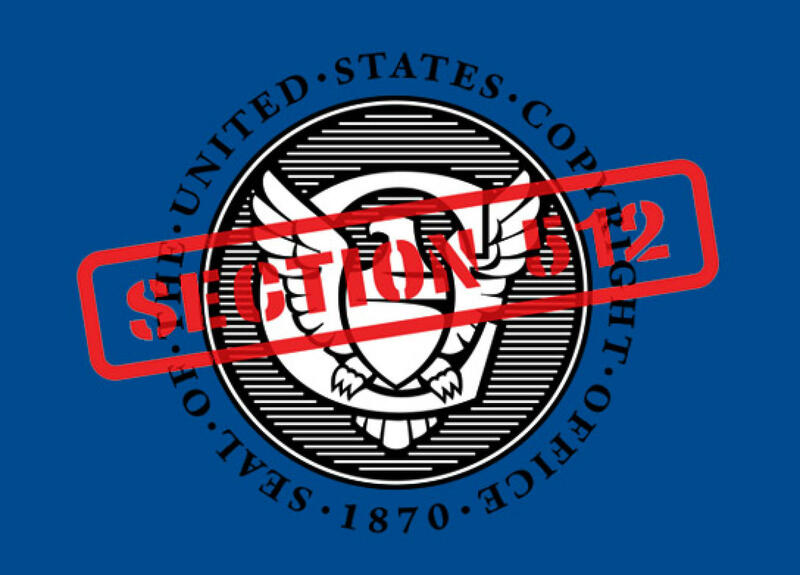 Whether it was right or wrong to single out universities, the law that was passed, called HEOA, and it put special obligations on universities that are “ISPs” to educate their users about copyright, and to require universities to use the newest and best technologies to prevent infringement. That’s been a very good practice, and has had a good result. The HEOA law was passed 8 years ago. Experience has taught us that although the technology measures have been somewhat elusive (since technology keeps evolving to be one step ahead of the law), the efforts of universities to educate their users, has been pretty darn effective. That’s because most people, contrary to what Google and YouTube want us to believe, actually do care about the rights of musicians. Importantly, the HEOA even requires university ISPs to certify to the government on an annual basis exactly what they are doing in this regard. It’s an ongoing level of vigilance and corporate responsibility. That is exactly what is needed here, and nothing less. Companies like YouTube and Google should not need Congress to force them to properly educate their users. YouTube and Google should not need to waste taxpayer money having Congress deliberate and hold expensive hearings over adding some common-sense checkpoints for users before they upload. YouTube itself admits it has been inundated with DMCA takedowns from actual infringing users. YouTube itself admits that a good percentage of content on YouTube is unauthorized. And as I point out under number 15 above, a good number of YouTube’s own users admit to YouTube direct infringement right at the time of upload. Yet despite all of this, YouTube does less than nothing to educate its users. In fact, in its new muppets video (see link in #15 above) YouTube actually intentionally misleads its users and further confuses them about copyright issues. That is a horrible and irresponsible business model. Also, please see my proposals in #11 and #25 below, that YouTube and Google should be required to share technologies they develop with other similar on-demand streaming services, and search engines. Those in the “safe harbor” should share innovations with each other that help preserve the ecosystem. It is a privilege to be in the safe harbor, and to maintain that privilege, companies should bend over backwards to prevent infringement. It makes zero sense to have an effective technology squandered away in a corporate lock box when it could be benefitting the whole “safe harbor” community, and most importantly, benefitting those who ultimately are responsible for giving these companies any value at all: musicians and content creators. The status quo is simply not sustainable. 25. Are there any existing or emerging ‘‘standard technical measures’’ that could or should apply to obtain the benefits of section 512’s safe harbors? Yes. If a company like YouTube refuses to make its Content ID system available to an individual musician, then it should not have the protection of a safe harbor. It shouldn’t be able to selectively offer technical protections only to powerful companies with big “catalogues” of music. That’s like a company under the ADA law being able to provide handicapped entrances and bathrooms only where it is convenient, or only where it makes economic sense. My constitutional copyright rights as an individual jazz musician are the same as Sony’s rights, and YouTube should be required to have that reflected in their policies, their behavior, and their business ethics. My three decades of life’s work is represented through recording in only 8 CDs. YouTube should not be able to hold that against me, just because I’m not aligned with some massive record company. YouTube’s technical tools should not be made selectively available only to musicians who have agreed to drink YouTube’s purple kool aid. YouTube and Google have enjoyed tremendous monopolistic power. They have developed technology solutions, like Content ID, to make it easier for them to manage the billions of file uploads. Smaller ISPs don’t have the R&D budgets to develop similar tools. In my view, YouTube and Google should be required to license these tools to others to use as well, so that the entire industry is benefitting from good solutions that reduce piracy and illegal uploads. Better yet, Google should make them available as open source tools, and the DMCA should then require any company seeking “safe harbor” status to adopt the best tools available. Google and YouTube are all for free music, free content, even when it tramples the constitutional rights of music creators in the process, but when it comes to their own “proprietary” technologies, (like Content ID), they guard it like Fort Knox and refuse to share it with anyone as open source. That’s downright hypocritical. I urge the Copyright Office to recommend that companies benefitting from the lucrative “safe harbor” should be obligated to enrich the safe harbor “ecosystem” by sharing their best technological developments to stop piracy. That’s what the HEOA already did to universities and it works well. 26. Is section 512(g)(2)(C), which requires a copyright owner to bring a federal lawsuit within ten business days to keep allegedly infringing content offline—and a counter-notifying party to defend any such lawsuit—a reasonable and effective provision? If not, how might it be improved? Of course not. The idea that I as an individual musician must retain an attorney, start a federal lawsuit, simply to have a company like YouTube remove from its system a file that is obviously copyrighted by me, is absolutely ludicrous and usurious. The fact that YouTube will provide my name and email to a user who has illegally uploaded my music, and demonizes me in perpetuity with its “frowny face” and an apology for what I have done, but YouTube will NOT provide me with the user’s identity unless I actually file a federal lawsuit and have a subpoena issued, shows the impossible imbalance in the DMCA procedures, and how YouTube has unfairly exploited it. It is a practical impossibility for a musician like me to enforce my rights, which essentially means I have no rights. Yet through its opaque and protective upload process, YouTube grants to its users a sort of immunity. So essentially YouTube is an active and willing accomplice to infringement. And as pointed out in #19 above, YouTube has recently launched a big publicity stunt intended to make a mockery of my rights by threatening musicians and content creators that it might even pay its users’ attorney’s fees, even a million dollars worth of fees, where I, as a copyright owner, have tried to enforce my rights. Never mind that in actuality, YouTube has done this in a handful of carefully picked cases, maybe 4 cases out of the billion takedown notices. It’s still a worldwide publicity stunt, where YouTube has attempted to actively influence users and content owners. And it works. YouTube (and similar companies) could very easily change its “terms for use” so that users know if they infringe, their identities will be provided to the musician/copyright owner. That’s only fair. That would make it more of a balanced two-way street. The DMCA does not tell YouTube they can’t do it. It’s just that YouTube won’t do it, since that would hurt its revenue. Companies should not benefit from the “safe harbor” if they: a) hide behind the anonymity of their users who unlawfully upload music; b) intentionally refuse to educate their users on copyright (many of whom are international and have no context for the US copyright laws YouTube needs to respect); c) use its technology and communications to induce users to infringe; and d) generate billions from that user behavior. To me, that’s plain evil. Finally, it would be a major improvement to provide the copyright owner with some recourse, without needing to go to the courts. As stated above, a musician who have established a good rating through her good behavior, should be entitled to the benefit of the doubt, even upon a user filing a standard counter-notice. And better yet, if a copyright owner who has a good rating, the DMCA should make the user go to court (instead of me the musician) to get the right to re-upload. The user should not always get the benefit of the doubt, with no regard for the actual facts and circumstances, and the proven behavior of each individual. When there is an established track record that supports a musician, the musician should get the benefit of the doubt. That’s only common sense. That’s only fair. 27. Is the limited injunctive relief available under section 512(j) a sufficient and effective remedy to address the posting of infringing material? This is the kind of thing that gives lawyers and lawmakers a bad reputation. Really, this whole thing should be so simple. The fact that there are six paragraphs in the DMCA about legal injunctions shows the absurdity of the situation. For an individual musician such as myself, it is a complete impossibility to consider starting any sort of “injunction lawsuit,” let alone paying the legal fees to see it to fruition. Look where that lawsuit stuff got Dr. Dre and Metallica 15 years ago. And since the law passed in 1998, there haven’t been any such “injunction” suits by musicians. None. Of course there haven’t. It’s a completely unrealistic and impossibly expensive “remedy.” Everybody likes cheap, simple, and effective solutions, and I have 3 of them here: a) if takedown meant stay down, b) if YouTube educated its users at the time of upload and used checkpoints before upload, c) if I was entitled to Content ID . . . if I had those three things, any need for an “injunction” is moot. 28. Are the remedies for misrepresentation set forth in section 512(f) sufficient to deter and address fraudulent or abusive notices and counter notifications? Holding someone responsible for attorneys’ fees seems like a big threat. But the reality is that the “average Joe” musician like me does not have the ability to use the courts against a company like YouTube. Even a huge conglomerate like Viacom got worn out to the point of settlement, before the law could really be clarified. And bless Viacom’s folks for hanging in there as long as they did. So in reality, it’s not much of a threat. It is not a popular thing for musicians to sue individuals who are using corporate platforms for free music. Even Dr. Dre and Metallica got bad press when they did it years ago to egregious Napster users. It’s just unrealistic to put the burden on us as musicians to police the internet when Google has literally billions of links directly to pirate sites – sites that they are well aware of. The sordid world of attorneys’ fees and courts and lawsuits and lawyers would not be necessary if companies like Google and YouTube stepped up to the plate and created a balanced playing field (see as examples, #s 6, 10, 11 and 15 above). Finally, the whole absurdity of this “attorneys’ fees” sword has been underscored by YouTube’s obnoxious publicity stunt in threatening to pay its users’ attorneys’ fees against copyright owners who try to take down content that YouTube disagrees with. Whatever balance Congress might have intended with section 512, YouTube has peeled the paint off the walls with this stunt. It’s YouTube’s way of throwing the full weight of its monopoly power around to increase revenue. That ploy scares off musicians from daring to try a DMCA takedown notice, and emboldens its users: “Don’t worry, YouTube has your back.” The consequence is that YouTube has influenced its users to just upload away to their heart’s content. We all know that was the practical outcome of, and the very intent of, YouTube’s grandstanding PR ploy. 30. Please identify and describe any pertinent issues not referenced above that the Copyright Office should consider in conducting its study. I urge the Copyright Office to watch the disgraceful muppets video that YouTube has produced on the issue of copyright rights (link in #15 above). And after watching the video, consider whether YouTube has actually poured gasoline on the fire by putting out such a disrespectful and misleading video as a means to influence its billion-plus users. I urge the Copyright Office to look at the HEOA, and the annual reports that are generated under that Act, as a good example of where certain ISPs (universities) have cooperated and worked in collaboration with content providers to educate users up front about copyright rights and create natural “checkpoints” in the process as a way to reduce illegal uploads. I urge the Copyright Office to require that companies like YouTube and Google take proactive measures to protect everyone in the “ecosystem,” not just those that will make those companies revenue. There is no explanation for why companies like YouTube don’t immediately undertake aggressive and balanced education programs and/or “checkpoints” that inform its users AT THE TIME OF UPLOAD about copyright rights, and the impact of infringement on musicians. Right now, YouTube requires absolutely NOTHING from its users in this regard, and that is shameful. It shouldn’t take an act of Congress to motivate companies like YouTube and Google to act in a responsible fashion. The extremely lucrative “safe harbor” should not be made available to companies that manipulate things to create such a profound imbalance of rights. The “safe harbor” should not be available to companies that turn a blind eye to countless users who plainly admit in writing to infringement at the very time of upload. The “safe harbor” should not be available to companies like YouTube who systematically engage in aggressive conduct (described in detail above) that: a) increases the number of unauthorized uploads for their own financial gain; b) influences its users toward infringement; and c) influences musicians (and other “content creators”) to refrain from enforcing their rights. Concluding Remarks: Thank you for the opportunity to share my viewpoint, concerns and suggestions for how to fix the problems you have identified. Thank you for undertaking a Study in such a thorough and balanced way. The trajectory of all of this infringement is truly staggering. The hoarding of data done by these huge companies has most definitely imperiled the future for musicians and music fans. It has trampled my constitutional right as an individual musician to own copyrights to my life’s work. I sincerely hope that the US Copyright Office will issue a Study that can fuel real change. Until then, I can only take solace in Shel Silverstein’s wonderful children’s poem entitled “Peanut Butter Sandwich” from his classic book, Where the Sidewalk Ends. ISBN-10: 0060256672 It’s a poem about a king who hoarded all of the peanut butter sandwiches in the kingdom, only to eventually choke himself on one of those very sandwiches.